A woman from Kratie province believed to have trafficked about 30 women to China to work or be sold as brides was caught and arrested on Tuesday evening at a Phnom Penh guesthouse with six potential victims, including two minors, an official said on Wednesday. 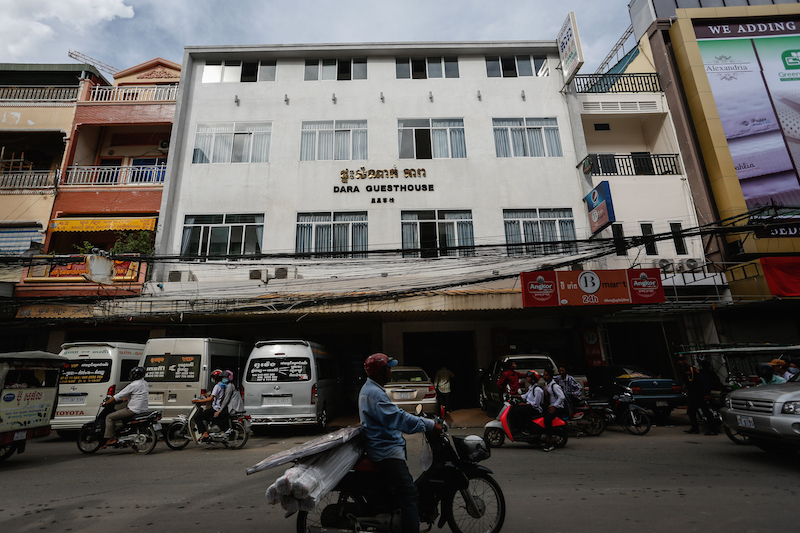 Thoeun Puthea, 28, was in a room at Dara Guesthouse in Prampi Makara district when police stopped her and six young women who were set to be sent to China by way of Vietnam, according to Keo Thea, director of the municipal anti-human trafficking police. Two of the victims were 17 years old, one was 19, and the rest were in their 20s, he said. “The victims said that she was a broker and she also admitted to it,” Mr. Thea said on Wednesday. He declined to say how police had located Ms. Puthea, saying that revealing their methods would allow future traffickers to escape capture. According to Mr. Thea, however, police have been investigating Ms. Puthea for months on suspicion that she was trafficking women to China, but had lacked the evidence needed to arrest her until recently. “We saw her bringing victims to have passports made and their newly made passports when they departed” to China on three to four past occasions, he said, estimating that about 30 women had been trafficked. Ms. Puthea was being held at anti-human trafficking police headquarters in Phnom Penh on Wednesday and was to be sent to court for questioning today. The crimes of recruiting, selling or transporting trafficking victims all carry seven- to 15-year jail sentences, which increase to 15 to 20 years when the victims are minors. Chou Bun Eng, secretary-general of the Interior Ministry’s committee to fight human trafficking and sexual exploitation, said the ministry was working to eradicate bride trafficking by improving cooperation with neighboring countries and had seen recent decreases in the trade. “This year, the human trafficking issue is better than last year, and we are continuing to do our work, but we still need help,” Ms. Bun Eng said. 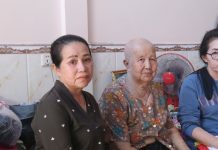 She said that authorities were now keeping an eye on the route to Vietnam, which has seen increased use since the Chinese Embassy in Phnom Penh began to more thoroughly screen visa applications of young, unmarried Cambodian women. 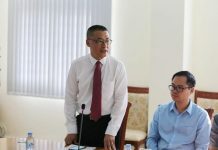 However, Helen Sworn, international director of anti-trafficking organization Chab Dai, said regional economic connections have only made trafficking to China easier. 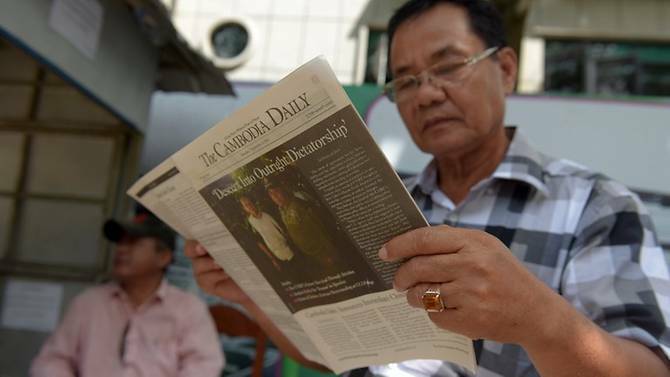 “With the Asean Economic Community and the greater Mekong regional integration, young people are seeing there are opportunities outside of Cambodia, but there is a sense of naivete and they don’t understand the risks,” she said. “The actual facilitators are becoming more creative about the ways they get girls out of the country. 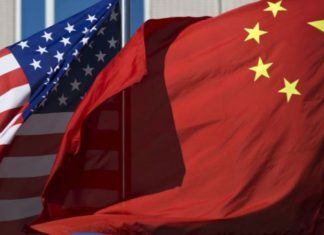 And because there is more knowledge of trafficking to China, they’re taking new routes,” she added, citing the path through Vietnam as an example.